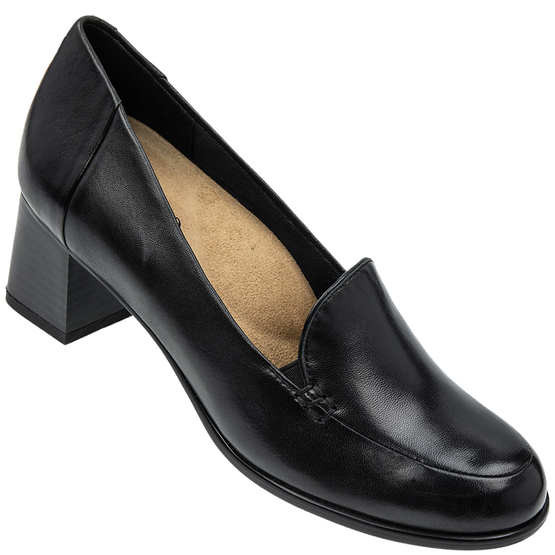 A modern, stylish court shoe packed with comfort features for those hard working feet. A high vamp for hold with a padded fabric lining that aerates the foot. A removable, deeply cushioned insole with built-in arch support and for those who need more depth beneath the removable insole is a fully lined and cushioned interior. The outsole has robust traction and a smart, block heel.